The Chief Executive of South West Yorkshire NHS Foundation Trust explains the importance of a #Selfcareeverywhere event being staged in Bradford on Saturday July 8. Children and young people make up nearly 25% of the population in England. And 40% of all primary care activity relates to this group of people. Of these, 15% have a long term condition, 6% have a disability, 50% of all mental health problems in adulthood start by age 14 and 700,000 are young carers. Yet the NHS has a narrative that is often dominated by a very adult view of the world. If, like me, you also believe that we need to engage people in the design, delivery, assessment and innovation around health services, then you can see why we need to listen and work together with children and young people. As the Chief Executive of South West Yorkshire NHS Foundation Trust and the lead for the West Yorkshire Sustainability and Transformation Plan, I hope we can harness the power of our communities and start to see the people we serve as assets not problems. In that way, we can work collectively to deliver a bigger impact in their health and our organisations. This will take time and may not always be comfortable. The effect can be transformational. I am looking forward to being challenged and inspired through the #selfcareeverywhere event taking place across Bradford City Centre on Saturday. It has been co-designed with young people to focus on the health and wellbeing issues that really matter to them. NHS England chose Bradford as its population is set to be the youngest in Europe, making it the ideal location. My hope for this event it is that it sets the standard for how we work together and explodes forever the idea that people are “hard to reach”. This is a phrase that I would like to see consigned to history – people are never “hard to reach”, we just fail to design ways they can access us or the care they need. Working with children to drive change can transform our thinking and bring new insights. When I asked Adam Bojelian to write a poem on NHS Leadership for the 2014 NHS Confederation Conference, I wanted his insights as a teenager who used the NHS. The poem has become a text for the NHS Leadership Academy and reproduced in many conference and programmes. Adam, who had significant physical health issues, communicated by blinking and had spent half of his life in hospital. All his wisdom and talent was unlocked through Twitter, technology and a mindset that valued what he had to say. We will be sharing the outcomes of #selfcareeverywhere widely and using it to inform our delivery plans as part of the West Yorkshire and Harrogate STP. We will continue working with the children and young people who have helped us to design this event. We will also be supporting them to get more involved in their health and care system with the hope that they feel empowered to make a real difference to the future of our health and care services. Please share this event with children and young people and, if possible, encourage them to book a place and come along on the 8th July. The event is also open to all health and care professionals, I urge you to come along – to listen, learn and share ideas. To feel energised and inspired. For further information or to book your place see the event booking website here. You can also follow the event on social media – Twitter, Facebook and Instagram throughout the day using #selfcareeverywhere. Who knows how much wisdom we will uncover and what fresh eyes will bring? Rob joined South West Yorkshire Partnership NHS Foundation Trust as Chief Executive in May 2016 and is responsible for leading the organisation and its 4,600 staff. Rob is also the Lead Chief Executive for West Yorkshire & Harrogate Health and Care Partnership; this sees him bringing together West Yorkshire health and care leaders, organisations and communities to develop local plans for improved health, care and finances. 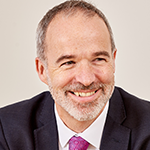 He has worked in healthcare since 1990, taking on national leadership roles in the NHS Confederation and the Department of Health on policy, transformation and delivery. He has also been a Director for both the Prime Minister’s Delivery Unit in the Cabinet Office and a national public/private partnership. Rob has been a successful Chief Executive in the NHS, running commissioning organisations and providers of NHS services. He has chaired formal Cancer, Primary Care, Community Trust and Learning Disability Networks. He has a history of effective partnership working and a strong commitment to system leadership.